Better Life Blog: ONE HOUR 50% OFF SALE. Fall is my absolute FAVORITE season. Did you know FALL officially starts at 5:04 AM tomorrow morning?! I always just thought it started at the turn of midnight. 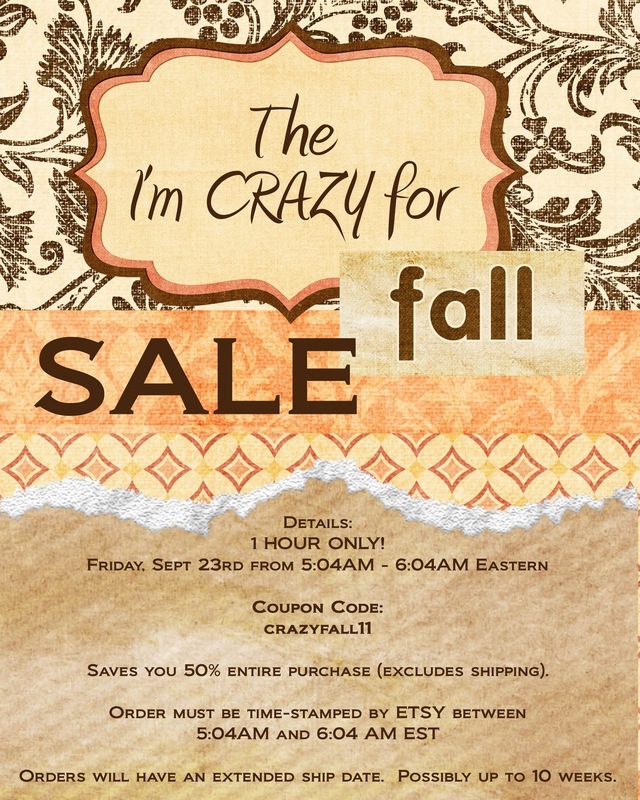 I will be having another FAMOUS 50% off SALE! The last one was c.r.a.z.y. I expect this one to be the same. Especially since you're getting a 20 hour notice. That's 2:04 AM your time. If you love BLB enough, you'll be there! Maybe you need a new Fall bag? Or a late back-to-school purchase? Or perhaps getting a head start on Christmas gifts? Just be sure to have your orders ready on paper because the sale is going to go FAST.